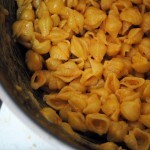 Anyone who knows me well will attest to the fact that I love to make macaroni and cheese. When I’m feeling serious I go all out on the baked variety. But when laziness strikes – primarily at the end of a late night, the afternoon after a late night, or lunch – I go with this quick stove top version. Controversial as it may be, lunch is my least favorite meal of the day. I’m not big on cold cuts and I can only eat eggs, grilled cheese sandwiches, and hummus so many days in a row. This week the inspiration struck to get out of my lunch rut. And what do you know, I had a big hunka cheddar in my fridge and a box of mini shells in my pantry. 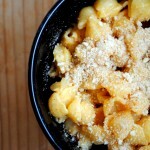 The fun part about making macaroni and cheese is that there are so many potential variations. The possibilities are as endless as the kinds of cheese out there; throw in goat cheese, Parmesan, mascarpone, or pepperjack. 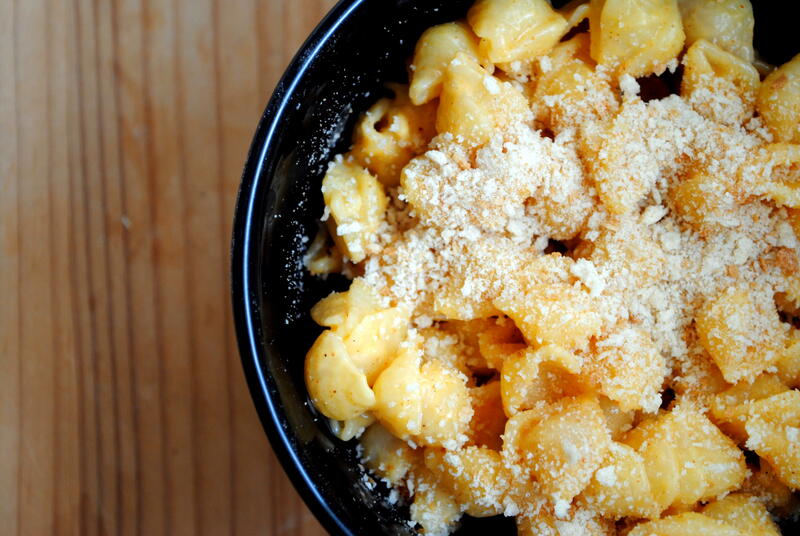 If you like the cheese you’ll like it in mac n’ cheese. Younger, soft cheeses tend to work better than hard, aged cheeses but that’s not a steadfast rule. If you’re feeling fancy stir in some bechamel, but it’s not necessary. I also like to add in some hot paprika for a smoky, slightly spicy finish. And top with breadcrumbs for extra carbs and crunch. 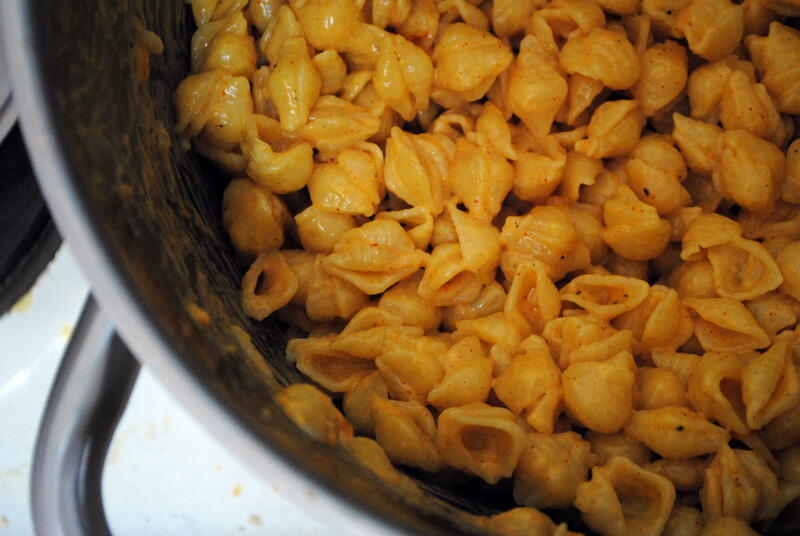 Cook the pasta in a large pot of water until just al dente. Drain and set aside. Turning the heat to low, pour the milk into the drained pasta pot. Return the pasta to the pot and toss to coat. Add the cheese and vigorously stir to combine, adding more milk as necessary until smooth and melted. Season with salt and pepper and hot paprika if using. Spoon into bowls and top with fresh breadcrumbs. 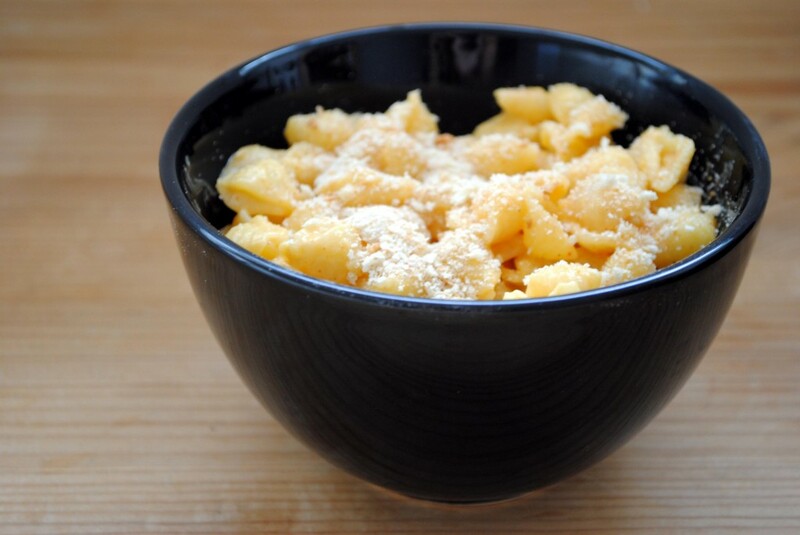 For a slight variation using leftovers, put the remaining macaroni in a baking pan, top with additional shredded cheese and breadcrumbs, and bake until warmed through.